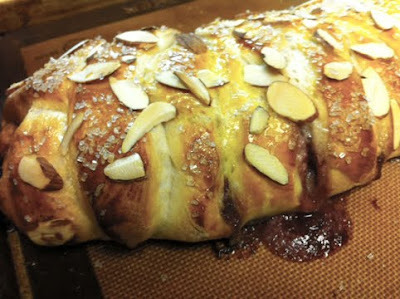 When my friends and I met and I showed them what they could do with thawed frozen bread dough, the most popular bread was a beautiful Almond Raspberry braid with almond paste and raspberry jam filling and a topping of sliced almonds and sparkling sugar. It looks complicated, but is actually pretty easy. The most difficult part was spreading out the bread dough. I guess when they make frozen bread dough they make a dough that isn't very elastic so that it retains the loaf shape its frozen in. 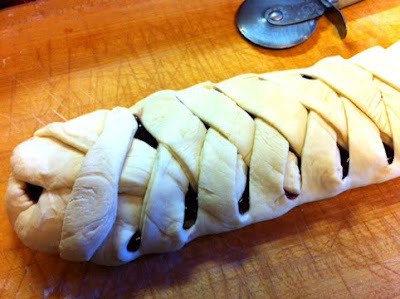 The key to spreading the dough out far enough to be able to do this kind of braid is to be patient. You can roll it or just use your hands to spread it out on a lightly floured board, then let it sit five minutes and spread it a bit further, then again after another five or ten minutes. Be persistent and you will succeed! 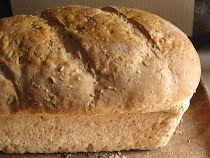 I made this braid in advance of our Bread Baking day and then again on the day. For the first trial run I cut the dough with a pizza cutter. 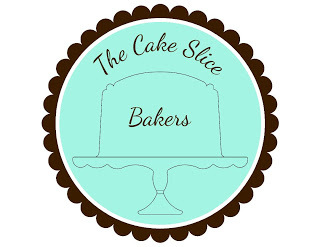 On the second baking day I used a sharp knife. Each worked about as well as the other, so choose the cutter that works for you. 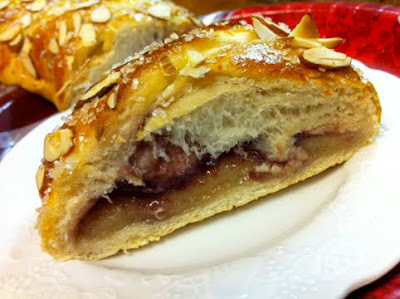 Here are some photos showing the dough spread out and layered with almond paste and jam, then cut, then braided, and then how it looked baked. Isn't it beautiful? Rolling the almond paste out on a board dusted with confectioners sugar seems to work really well. You want the almond paste to be thin enough that when you are eating the pastry that the filling doesn't ooze out too much. I like using seedless jam but seeded jam will work, too. 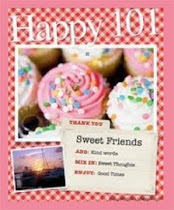 If you prefer another flavor over raspberry, by all means use apricot, strawberry, blueberry or any other favorite jam. Just make sure that it isn't too watery (for the same reason that you want the thin almond paste layer). This gorgeous pastry looks like you spent hours and hours in the kitchen but in fact it is quick for a yeast dough treat. One of my friends tried it within a few days of seeing me make it and she was thrilled with her braid...and her family ate it up very, very quickly! This is a great recipe to make for Easter or a fancy brunch. Just be ready for rave reviews. Thaw 1 lb. 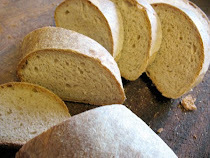 frozen bread dough, flatten it on a lightly flour board. Working gently, stretch dough to 10 x 12" rectangle. Take a package of almond paste and divide it in half. Reserve half for another use. Roll one half into a rectangle 11 inches long by 3 inches wide on a board sprinkled with powdered sugar. Take this rectangle and place in the center of the dough rectangle. 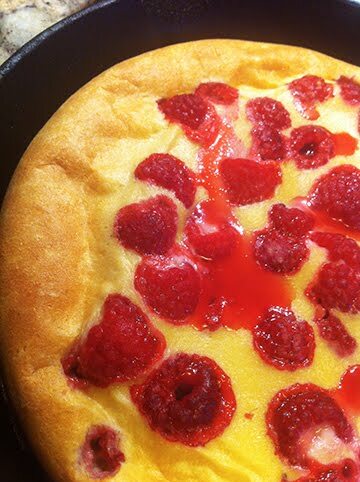 Spread 3-4 tablespoons raspberry jam over the almond paste rectangle. Using a sharp knife or pizza cutter, make diagonal slices along the two long sized of the rectangle, cutting almost to the almond paste. The cuts should be about an inch apart. 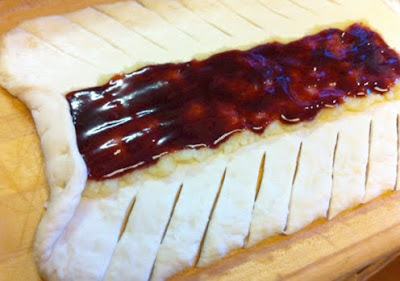 Fold up the ends about an inch over the almond paste and jam. 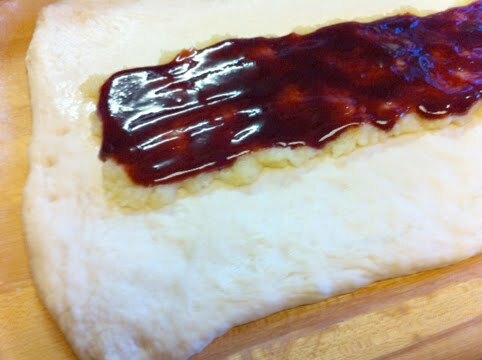 Then take each of the dough pieces, first from one side, then from the other, and stretch them across the filling. Continue to braid the dough up to the end, then tuck ends under. Place on parchment or silicone mat lined pan, cover with oiled plastic wrap and a tea towel and let sit until doubled in bulk, about an hour. Brush top of braid with egg wash (1 egg whisked with 1 teaspoon water) and sprinkle with sliced almonds and sparkling sugar. Bake in preheated 375 degree oven until golden brown, about 30-45 minutes. Let cool. If desired drizzle with a glaze of orange juice mixed with confectioners sugar. Slice with serrated knife to serve. What a beautiful tea table in your header! And that bread is KILLING me. I wonder if it could be done with a gluten-free dough. We do experiment a lot more with GF because of one of D's coworkers - it's a good exercise in creativity. Lovely one Elle! Thisshape is always such an eye catcher. Combo sounds lovely as well. Katie, it really is gooey and yummy and perfect to serve for company...plus quick and easy. Tanita, thanks for the comment about the header. I love changing them and this reminds me of the lovely tea party in the photo. I think you could make this using a gluten free dough, although I'm not an expert on GF yeast doughs. Katie, above, is so you might want to check out her blog. Baking Soda, Yep it's impressive and fun to make, too.